London has jumped to seventh place in ICCA's 2011 world rankings, but its promotion agency London & Partners is hoping the Olympics will help the UK capital secure fifth place in 2012. 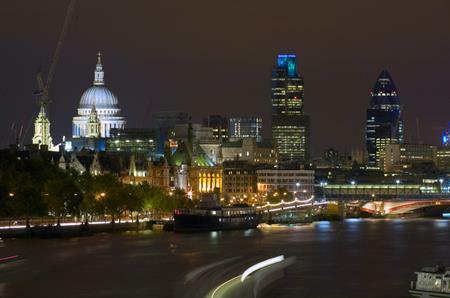 London climbed from 15th place in 2010 and 19th in 2009, to 7th in the International Congress and Convention Association (ICCA) league table, which ranks destinations based on the number of international association conventions hosted. In 2009, mayor Boris Johnson said ‘London doesn’t do 19th’, and ordered a review of business tourism, chaired by Bob Cotton, then chief executive of the British Hospitality Association. Since then London has attracted major conventions including Sport Accord which attracted more than 1,500 top international sport businesses. In 2011, the capital played host to 115 conferences and conventions. Johnson said: "In less than four years London has fought its way back into the premier league of a crucial sector which helps to support and create thousands of jobs for the capital’s economy. I said that 19th position in the world rankings was unacceptable and I am delighted we have raised our game. With the world’s spotlight upon us we have a golden opportunity to showcase why London, with its world class venues and facilities, is the best place to do business." Gordon Innes chief executive at London & Partners added: "When London & Partners was created, our goal was to make London a top 10 convention city by 2015, so hitting the number 7 spot so early is a fantastic achievement and a testament to our convention bureau team. As the world turns its attention to the capital this summer, London & Partners will implement the next phase of our ambitious, city-wide strategy to move London into the top 5." As the world turns its attention to the capital this summer, London & Partners will implement the next phase of our ambitious, city-wide strategy to move London into the top five." Meanwhile, Vienna retained its number one status in the ICCA Rankings and Paris overtook Barcelona to take the number two spot.